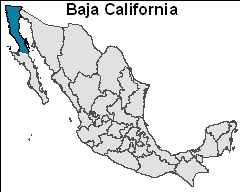 Crime and violence in Baja California increased in 2018. Source: Justice in Mexico. 01/10/19 (written by kheinle) — Mexico experienced another record-breaking year in 2018 with high levels of crime and violence. According to data from the National Public Security System (Sistema Nacional de Seguridad Pública, SNSP), 27 of Mexico’s 32 states and Federal District saw increases in crime and violence, particularly homicides, in 2018 from 2017. That does not include data from December, notes Vanguardia. Including estimates for December’s projected results, however, SNSP predicts 2018 will close with 34,000-35,000 homicides nationwide. This punctuates the end of former President Enrique Peña Nieto’s sexenio (2012-2018) and the transition to new President Andrés Manuel López Obrador (2018-2024) on December 1, 2018. Several states saw particularly high levels of violence in 2018, including Guanajuato, Quintana Roo, and Baja California. In the latter, homicides were largely focused in Tijuana, the border-city that has seen dramatic rises in murders the past few years. Initial estimates for 2018 show Tijuana having experienced 2,500 homicides, making it the city’s most violent year on record. As Vanguardia calculates, this equates to seven homicides every 24 hours. In 2017, Tijuana also surpassed Acapulco as the most violent municipality in Mexico, reported Justice in Mexico. This is largely because of an 85% increase in homicide cases over the course of that year. Whereas Tijuana saw 871 homicide cases in 2016, the number rose to 1,618 cases in 2017. Now with the estimated increase to nearly 2,500 homicides in 2018, it is expected to remain one of, if not the most violent municipalities in Mexico. Causes and effects of systemic issues like crime and violence are layered. One factor that plays a role, though, is the criminal justice system that a State has in place. Mexico made historic advances with the approval (2008) and implementation (2016) of the New Criminal Justice System (Nuevo Sistema de Justicia Penal, NSJP). Although the goal of the NSJP was not to reduce crime and violence, it was and is expected to do so over time. As the judiciary is fortified and judicial processes become more efficient and effective, it is anticipated to have a positive ripple effect on public security. Several voices, however, have recently questioned the NSJP’s role in unintentionally perpetuating insecurity. Attorney José Luis Nasar Da pointed out that the modernization of the public security sector did not parallel that of the justice system. The justice system advanced quickly, while public security has not, creating a gap between the two systems. Justice lags when police and prosecutors’ ability to execute an investigation in a case does not also respect and uphold one’s presumption of innocence. 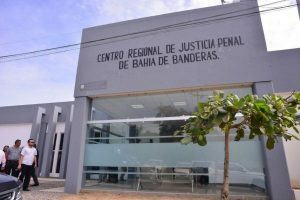 Meanwhile Attorney Carlos Ordaz Rodríguez noted that criminals are able to take advantage of the holes in the justice system. He specifically pointed to the freedom and liberties many accused persons are granted while awaiting investigation and judicial processing, which are tied in with the Attorney General’s limitations in opening and expediting cases. 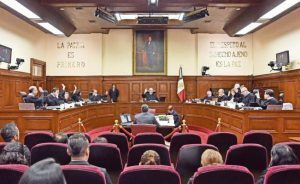 In a post from May 2018 titled, “Responses to the Critics of the Judicial Reform in Mexico,” Justice in Mexico discussed the counterarguments to such criticisms leveled against the new system. Quoting Karen Silva from the Center of Investigation for Development (Centro de Investigación para el Desarrollo, CIDAC), “The [adversarial] system is not the problem; the problem is the lack of capacity among institutions.” Rather, she argues that the rise in violence can be attributed to a lack of knowledge and skill among criminal justice operators, including police, prosecutors, public defenders, and judges, which perpetuates high levels of impunity. In turn, impunity reinforces a precedent that violent crimes will go unpunished and not be investigated, and it deteriorates citizens’ faith in the judicial sector. 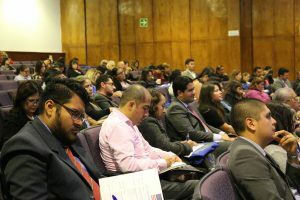 Hence, states across the country, including Baja California, have and continue to make significant advances in the procurement of justice under the new system. This includes the construction of new court rooms, the education and training of justice system operators, and the modernization of judicial procedures, among others to build the capacity of the institutions tasked with implementing justice. Gallegos, Zorayda. “Las autoridades mexicanas, incapaces de adaptarse al Nuevo Sistema de justicia.” El País. April 11, 2017. Sánchez Lira, Jaime Arredondo et. al. “The Resurgence of Violent Crime in Tijuana.” Justice in Mexico. February 2018. Calderón, Laura et. al. “Drug Violence in Mexico: Data and Analysis through 2017.” Justice in Mexico. April 11, 2018. “Responses to the Critics of the Judicial Reform in Mexico.” Justice in Mexico. May 21, 2018. “Registra fallas el nuevo sistema de justicia penal.” El Diario de Coahuila. December 8, 2018. “En el gobierno ya no hay ‘golondrinas en el alambr’: López Obrador.” Informador. December 19, 2018. Animal Político. “Homicidios crecieron en 27 estados y en 15 alcanzaron niveles récord en 2018.” Vanguardia. December 28, 2018. La Jornada. “Baja California vivió su año más violento: 2,500 muertos sólo en Tijuana.” Vanguardia. December 31, 2018. “Usan los delincuentes hueco en código penal.” El Diario de Coahuila. January 3, 2019. Portal de Obligaciones de Transparencia. “Estadísticas generadas.” Poder Judicial de Baja California. Last accessed January 6, 2018. Judge Ricardo Suro Esteves, President of the Jalisco Supreme Court of Justice. Source: Francisco Rodriguez, El Occidental. This progress reflects the effects of the New Criminal Justice System (Nuevo Sistema de Justicia Penal, NSJP). The NSJP was intended to modernize judicial processes in Mexico, creating efficiency and expediency in the otherwise notoriously slow system. The transition to a more digital approach to courtroom and judicial proceedings increases their speed and efficiency while decreasing associated costs, added Judge Suro. Jalisco also made progress with regards to the training that 5,000 police and traffic cops have gone through that covers their roles as first responder at crime scenes. This is part of the three workshops related to the New Criminal Justice System that police are required to complete. Judges and judicial system operators in Jalisco have also undergone training and seen a boost in salaries. 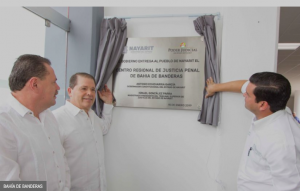 Additionally, two new courtrooms have been built that will process oral trade law in Ocotlán and family law in Ciudad Judicial. 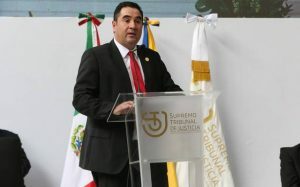 Judge Suro was reelected as the President of the Jalisco Supreme Court on December 14, 2018. His second two-year term will cover January 1, 2019 through December 31, 2020. “Police lack training in the New Criminal Justice System.” Justice in Mexico. December 4, 2018. Bareño, Rosario. “Digitalización y primer Observatorio Judicial en el Poder Judicial: Suro Esteves.” El Occidental. December 7, 2018. Rivas Uribe, Rodrígo. “Preparan operación de firma electrónica en el Poder Judicial del Estado.” Informador. December 7, 2018. Ruíz, Luís Antonio. “Supremo Tribunal de Justicia implementará firma electrónica.” W Radio. December 7, 2018. Diario Oficial de la Federación. “DOF: 07/12/2018.” Secretaría de Gobernación. December 12, 2018. Cruz Romo, Ezequiel. “Repiten president en el STJEJ.” El Diario NTF Guadalajara. December 14, 2018. The Mexican Senate approved the Miscelánea Penal reforms in support of the New Criminal Justice System on June 14, 2016. Photo: Mateo Reyes, El Universal. 7/5/16 (written by sramirez) — The Mexican Senate recently approved the Miscelánea Penal reforms to support the New Criminal Justice System (Nuevo Sistema de Justicia Penal, NSJP), thus ultimately putting into full force the new system. 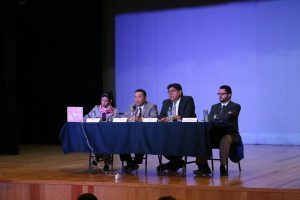 The package of ten legal reforms were heard in an extraordinary session by the Senate on June 14, 2016, just four days prior to the constitutional deadline for Mexico to implement the NSJP nationwide, the overarching reform to the judicial system. 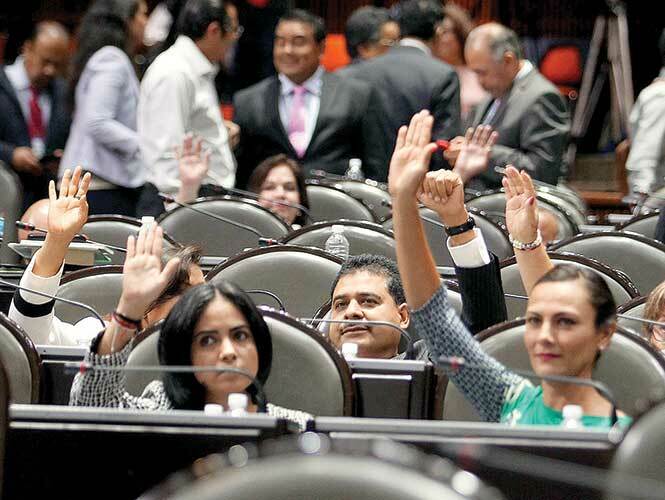 The Mexican Chamber of Deputies approved the Miscelánea Penal reforms on April 28 with a vote of 403 in favor, 0 against, and 24 abstentions. The Mexican Senate, meanwhile, voted 109 in favor and 5 against. The articles in particular were intended to reconcile disputes between the NSJP vis-à-vis Mexico’s National Code of Criminal Procedures (Código Nacional de Procedimientos Penales), the Federal Criminal Code (Código Penal Federal), the General Law of the National System of Public Security (Ley General del Sistema Nacional de Seguridad Pública), the Federal Law for the Protection of Persons involved in the Criminal Process (Ley Federal para la Protección a Personas que Intervienen en el Procedimiento Penal), and the General Law for Prevention and Sanctioning of Crimes of Kidnapping (Ley General para Prevenir y Sancionar los Delitos en Materia de Secuestro), among others. The approval of the Miscelánea Penal reforms are not only important because of the timing of their approval just days before the constitutional deadline for the NSJP, but also because of the legal protections the package of ten reforms provide. For one, the reforms provide protection to the due process procedures for individuals involved in legal processes. They also clarify the role of the Control Judge (Juez de Control), one of the several new judgeship positions created under the New Criminal Justice System, thus, among other purposes, dividing the control throughout a legal procedure between several positions to keep power in check. As Excélsior writes, the reforms also bolster rights of the accused by giving them the option of presenting evidence in their case directly to the judge, thus removing the Attorney General (Ministerio Público) from the process. The reforms also take an important step forward for the rights of the accused by declaring that an individual cannot be held in preventative prison (prisión preventiva) for more than two years, thus expediting the legal proceedings. In addition, the reforms require a more active legal counsel for the accused during legal proceedings, promote electronic and technological advances in the judicial system, heighten protections for victims 12 years old and younger, and more clearly define police responsibilities when arriving at a crime scene, among others. The Mexican government applauded the Miscelánea Penal’s approval. Congressman Manuel Espino, for example, argued that the reforms would comprehensively strengthen the judicial system. “We have evolved,” he said following the Chamber of Deputies’ approval in April, “to give judicial elements to the Executive and Judicial branches in order to better advance justice. But this is not sufficient,” he cautioned, “given that Mexico ranks as one of the countries in Latin America with the worst levels of impunity.” The president of the Senate’s Human Rights Commission, Angélica de la Peña of the Party of the Democratic Revolution (Partido Revolucionario Democrática, PRD), also recognized the reform’s efforts to protect the human rights of the accused within the judicial processes, among other changes. 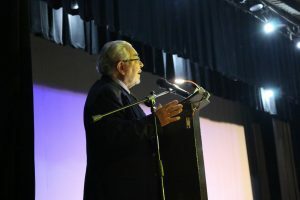 With the Miscelánea Penal approved, the Mexican government celebrated the closing of the eight-year implementation phase of the NSJP on June 18, 2016 in Mexico City. Mexican President Enrique Peña Nieto, Supreme Court President Luis María Aguilar, the heads of the Mexican Senate and Chamber of Deputies, and all 32 state governors, among others, attended the ceremony. While the heads of government recognized the importance of the closing of the NSJP’s implementation period, they also acknowledged that the work was just beginning, echoing Congressman Espino’s caution that Mexico still has significant work to do. Notimex. “Diputados avalan en lo general Miscelánea Penal.’” Excélsior. April 28, 2016. Cámara de Diputados. “Boletín N° 1487: Aprueban diputados, con modificaciones, dictamen a la minuta que reforma la Miscelánea Penal.” LXlll Legislatura. April 28, 2016. Morales, Alberto and Juan Arvizu. “Aprueba Senado Miscelánea Penal y la regresa a Diputados.” El Universal. June 14, 2016. Robles de la Rosa, Leticia et al. “Habrá prisión preventiva, solo dos años; aprueban Miscelánea Penal.” Excélsior. June 15, 2016.